Flex Appeal. 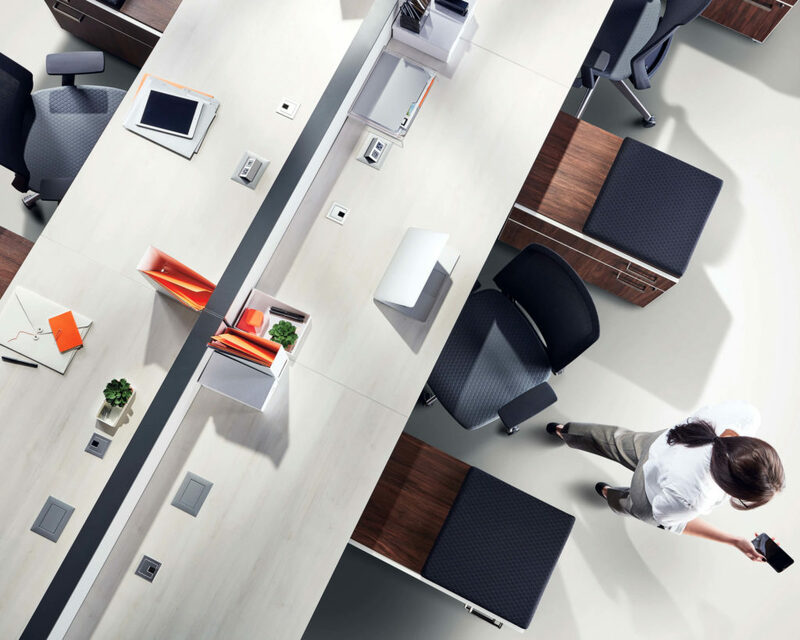 With flexibility at its core, Cosmo by Tayco is a versatile office furniture solution that offers on-trend design and a full spectrum of privacy options. Put it to work in your open-plan layouts, your private offices, and your welcoming reception areas, and enjoy a beautifully functional office for years. 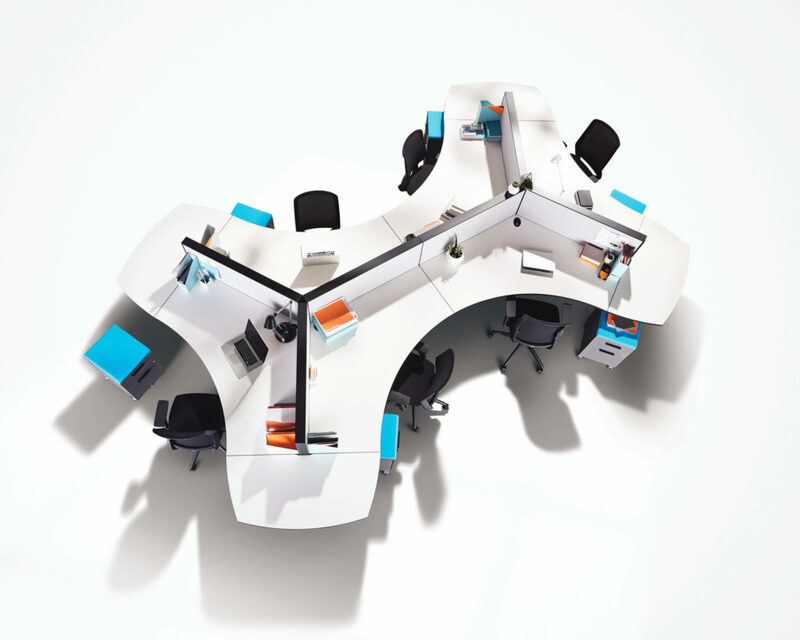 Contemporary design and maximum flexibility make Cosmo a great choice for your modern office. 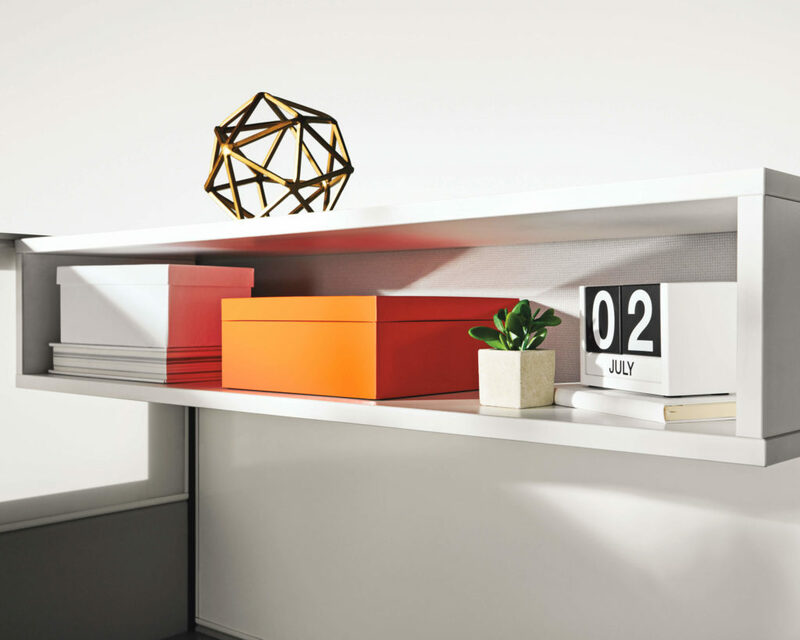 Modern desks and workstations can be accessorized with a range of stack-on panel heights to create a sense of privacy in open office designs that can also maximize spatial flow. 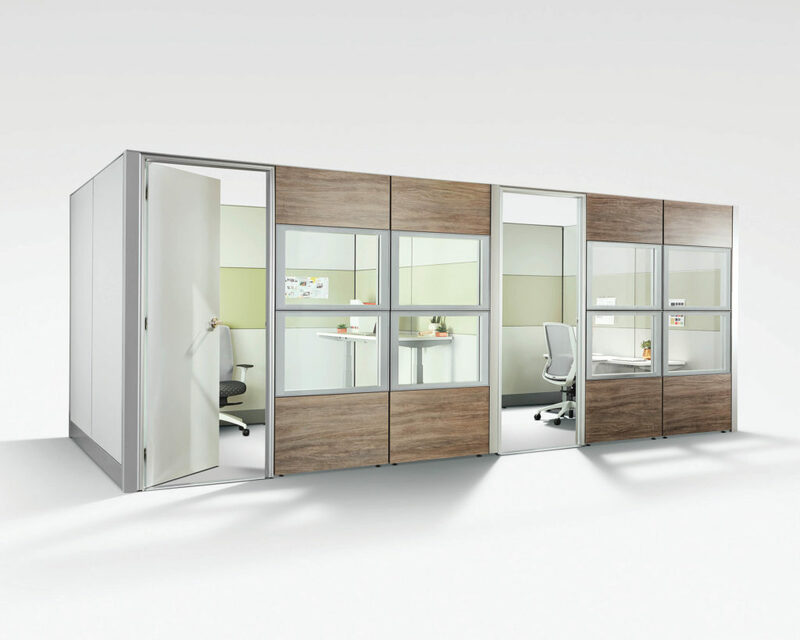 Create traditional cubicle workstations with a contemporary design, or customize the layout to create a more modern work space for your team. Create Space – Optional glass or acrylic screens define distinct work areas while still allowing light into transitional spaces. 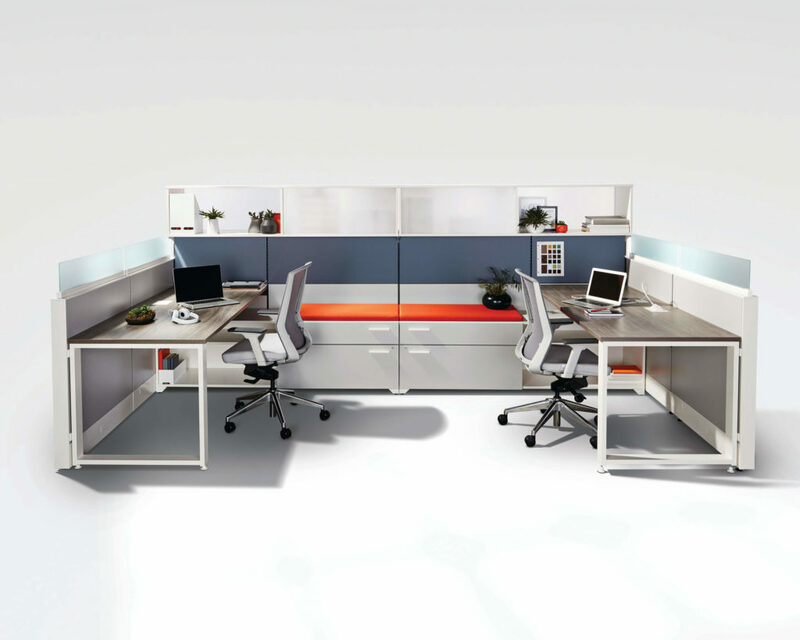 Flexibility – Height adjustable work surfaces, panel-mounted shelves, and organizational accessories. 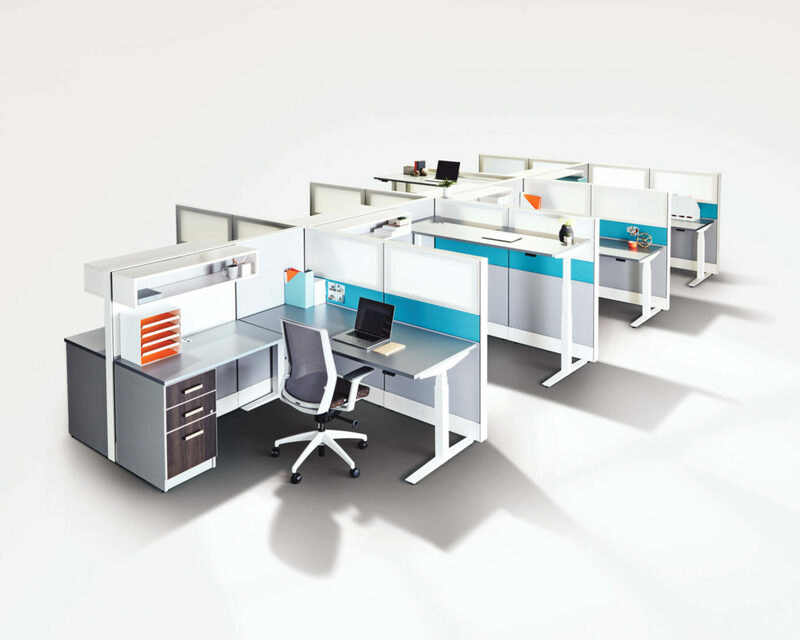 Layout Options – Workstation layout can be configured at 90-, 120-, or 130-degree angles to make the most of your space. Cosmo is a self-contained system that cannot be combined with other panel systems. Please talk to a Source team member for help coordinating with existing furniture.